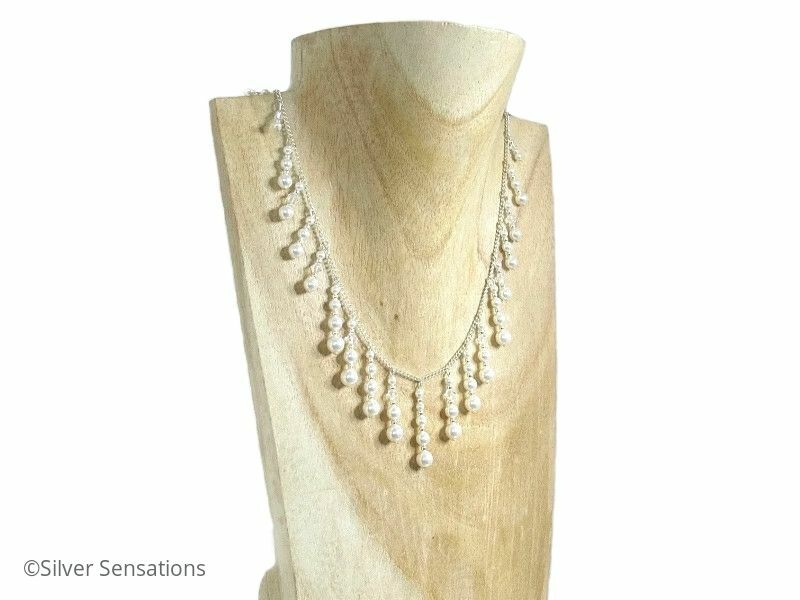 This beautiful unique designer bridal necklace has been created using matching white Swarovski Pearls. 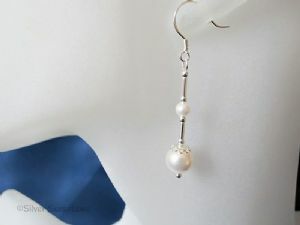 I have used 3mm, 4mm, 5mm & 5mm Pearls for the drops. 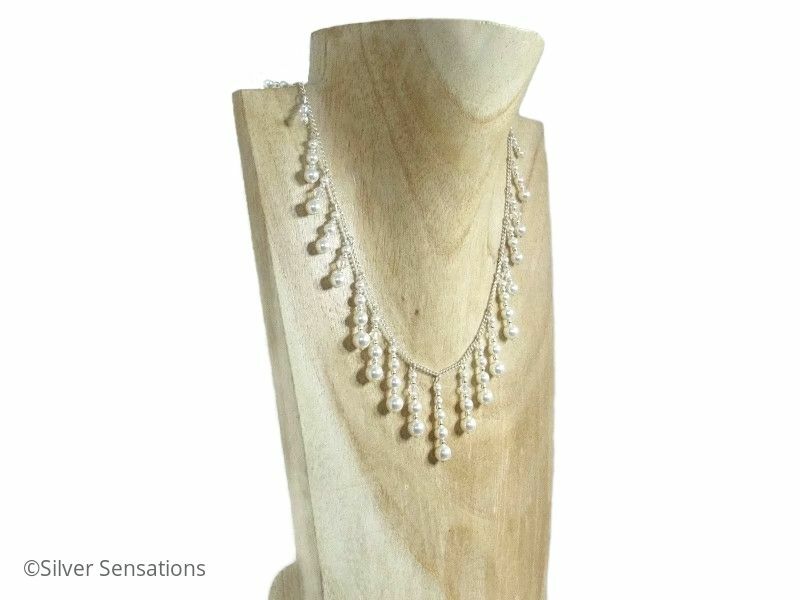 Swarovski Crystals in 3mm and 4mm sizes with Sterling Silver seamless beads complete the drops which are made with strong Sterling Silver headpins. 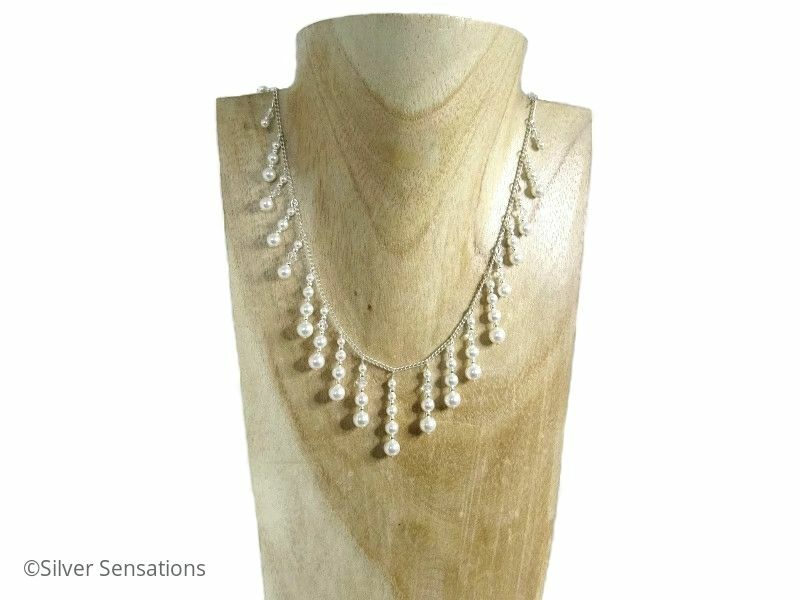 These are threaded onto a high quality Sterling Silver curb chain which is 17.75" in length and fastens with a bolt ring clasp fastener. 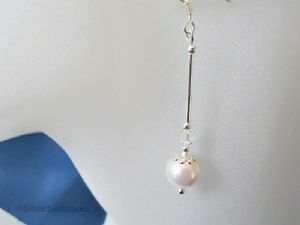 The drops vary in length from 0.50" to 1". 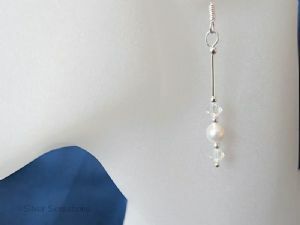 These Swarovski Crystals sparkle less colours than the AB Rainbow Crystals but have more sparkle than the clear ones. 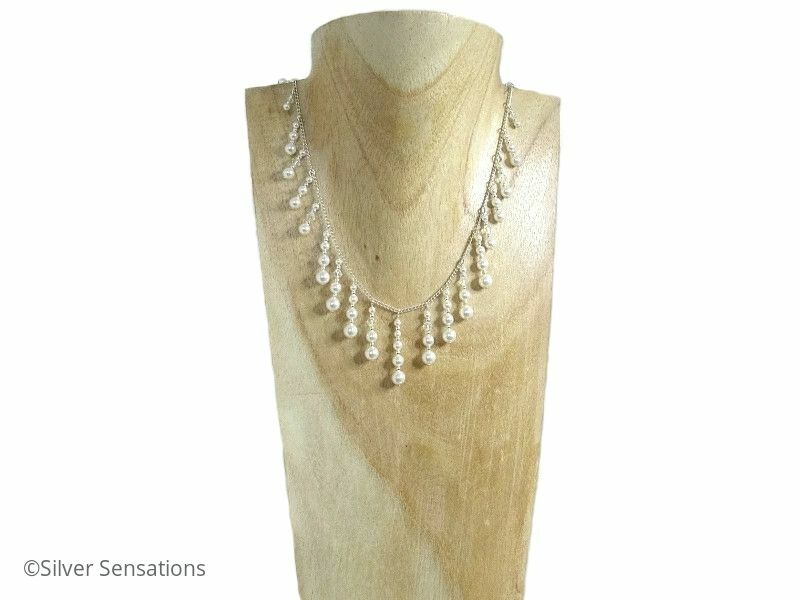 This very feminine wedding necklace is surprisingly light and easy to wear.